With the launch event of Lester Laminack's The King of Bees last month, we had the amazing opportunity to interact with the Fernbank Science Center's beekeepers. After asking them all our questions and learning so much about the bee population and how people can support bees in the classroom, we wanted to share everything we had discovered. Kyla Van Deusen, instructional specialist and Fernbank Science Center beekeeper, offered to delve into the world of bees and provide her insights into how schools can support the bee population. 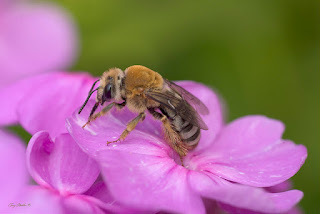 Apis mellifera, the European honeybee, was introduced to the Americas in the 17th century by European colonists. 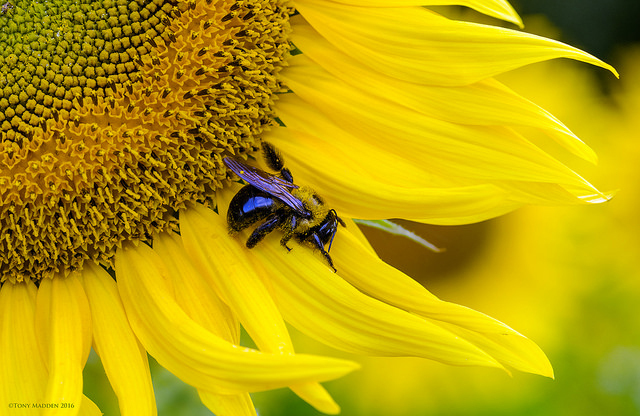 Honeybees contribute 15 billion dollars annually to the US economy, mainly through their pollination services, which is critical to fruit and vegetable production. The sharp decline in their population in recent years inspired a federal Pollinator Health Task Force in 2014 that sounded the alarm across the country on the plight of honeybees and other pollinating insects. Now recognized as a national issue with major economic implications in the agriculture sector, children and teachers have been inspired to do their part to support pollinator health in the schoolyard setting. From planting pollinator gardens to maintaining their own beehives, schools can contribute to both honeybees and native pollinator health in meaningful ways that also teach core content across curricular disciplines. Schools have a long, rich history of using gardens as outdoor classrooms. In the garden, students learn life cycles, soil science, water cycling, seasons, habitats, teamwork, nutrition, history, and more. Pollinator gardens can be easy to maintain and provide opportunity not only to learn, but also improve habitat for pollinators. It is important to remember that native bees provide pollination services, sometimes better than the European honeybee. Designing a garden to support needs of native bee species makes for a great hands-on learning experience. 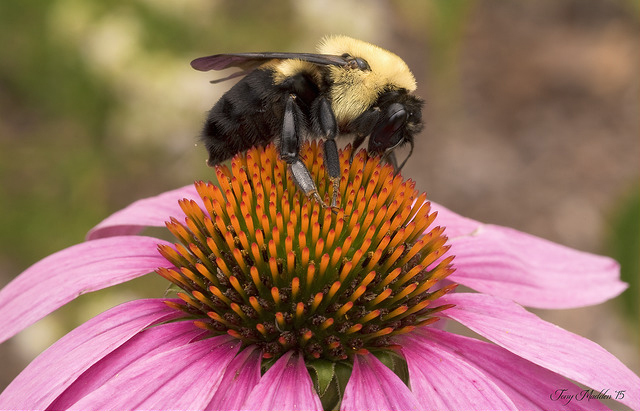 The following resources can help schools design and implement a pollinator garden. Ecoregional planting guides from Pollinator Partnership: Select the best plants for your region. Many states have native plant societies that can help locate plant material. Remember that garden centers often sell plants treated with neonicotinoid pesticides, which are suspected to be poisonous to bees, so make sure to source neonic-free plants. Not all neonic-treated plants are labelled as such. Although bee-friendly gardening is the easiest and most sustainable way to support bee populations in the schoolyard, caring for bees can be an incredible experience for students, especially if supported by the skills and wisdom of local beekeepers. However, with the amount of stressors impacting the European honeybee population at this moment in time—increased disease, residential and agricultural pesticides, and habitat destruction—even the most experienced beekeepers are struggling to maintain their hives. In spite of these challenges, schoolyard beekeeping is increasing in popularity and there are several resources available to help schools get started. Remember to check with your school liability officer to ensure that beehives remain in compliance with liability code. Also keep in mind that both Beepods and observation hives tend to be short lived due to the high stress placed on bees in these environments and the tendency to swarm more frequently. Citizen science projects allow citizens to add data to national and international research projects and access data for class projects. The following citizen science project provides meaningful ways for students to participate in tracking pollinator health beyond the school grounds. With Next Generation Science Standards driving science education to a more inquiry-driven approach, gardening and beekeeping make great projects that align with evolving science standards. Complex environmental problems like pollinator population decline can feel overwhelming to the point of apathy, but by learning about the problem and implementing local solutions, students can lead the way toward a better outcome both for the bees and their own education. Teachers can support their students’ successful bee projects through connecting to local partners. Look for beekeeping clubs, native plant societies, school garden support organizations, and passionate parents in your community who want to help your students help the bees. All the work will pay off when you see your students light up as they discover how they can have a positive impact on their world. Start your bee education with the amazing fiction story The King of Bees, coming April 1st! Find it at your local library, indie bookstore, or Barnes & Noble.